Happy New Year everyone! Here’s to new beginnings and the promise of good things to come. For me a fresh start is rejuvenating, almost like a computer reboot. This year started off with a bout of pink eye and the flu bug, but I’m now upright and ready to go. A few years ago I stopped making resolutions and replaced them with a single word. Gratitude is the word of 2018. I know it’s vague but if I keep reminding myself, I feel my outlook and actions will stay on track. Christmas Eve, the day before I got sick we hiked the Sunrise Trail in Scottsdale. It was fun to see so many people out and about. The desert is very dry right now, rain is needed. What can I say about cauliflower, it’s delicious and unassuming. Love this tasty little orb. Today’s recipe is about roasting the cauliflower first and combining it with cooked quinoa, a little milk and cheese. It’s that easy! I used tri-color quinoa for the first time and absolutely love how it looks, can’t believe I’ve stuck to the same old brand all these years. This dish is comforting and delicious! This recipe has been adapted from Cookie and Kate.com. Preheat oven to 400 degrees. Cover large rimmed baking sheet with aluminum foil. Place cauliflower in medium sized bowl, top with 1 to 2 tablespoons of olive oil and mix until florets are lightly coated. Pour onto prepared baking sheet, sprinkle with salt and pepper. Roast 20 to 25 minutes, until tender and lightly caramelized. Bring water to a boil in a medium-sized saucepan, add quinoa. Reduce heat to low and let simmer about 12 to 15 minutes. Turn off heat and let sit approx. 10 minutes. Add milk and one half of the cheese to the cooked quinoa, pour into casserole dish on top of cauliflower, mix evenly. Add remaining cheese, then top with panko. Bake uncovered for 20 to 25 minutes. Remove from oven. Turn oven to broil. Broil 2 to 3 minutes until lightly browned. Enjoy! Thanks Chris, well it certainly gave me a new appreciation for feeling good thats for sure, lol. Glad you doing well now, Cheri! Love this dish, it looks delicious and is good and healthy too! Our grandson and his family were here for the New Year and just returned to home in Scottsdale, so far from us, boo hoo! But, they love it there and were happy to leave the zero degree weather here. I hear rain is on the way for you. Thanks for the recipe, it might be just the one to convince everyone to eat quinoa here! Take care and here's wishing you the best of everything in 2018!!! Didn't realize you had family here, well we are definitely having a mild winter, had a little rain last night but nothing to write home about. I bet they were freezing at your place. Take care and Happy New Year Pam! Thanks for putting up with all my cauliflower recipes honey! Hi Moumita, yes I love cauliflower, usually buy at least one head every week at the farmers market. 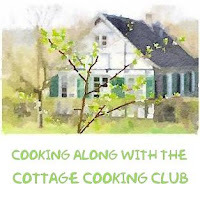 Will definitely check out your site for your cauliflower recipes, I bet they are delicious. Thats a great word to add Tandy, and yes it's going to be an amazing year, take care! Happy New Year to you, Cheri! Sorry that you have been under the weather. The casserole looks very delicious! Thanks Angie, it certainly feels great to be standing upright again. Love new beginnings! Great dish to start the new year with. I want some! Happy New Year! And glad you're feeling better. Gratitude is a great theme for a new year. I'm grateful for this recipe -- LOVE cauliflower. Neat dish -- thanks. Lol, thanks John. Yes cauliflower happens to be a favorite of mine too, take care! Happy New Year! This casserole looks healthy, hearty, and delicious. Thanks Pam, appreciate you stopping by!! Not a great way to start the year but I must say, having this casserole dish is a delicious sounding way to start it. Thanks Dena, yes it certainly feels great to be among the living. (I can be a little dramatic when under the weather). Take care! Two of my favorites in one dish. Well, three if you count cheese :) Glad you're feeling better. It's a bad flu year all around! Gratitude was the same word I chose when a friend ask me for a word. Happy New Year Cheri and I hope you are feeling better . Your casserole looks healthy and delicious. Thanks Gerlinde, sounds like great minds think alike!! I freeze cauliflower from the garden, and have been looking for something new to try with it (I tend to get in cauliflower ruts!) This would even be husband approved! Hi Kris, for some reason I have not had any luck growing cauliflower and brocooli, good for you! Happy New Year! 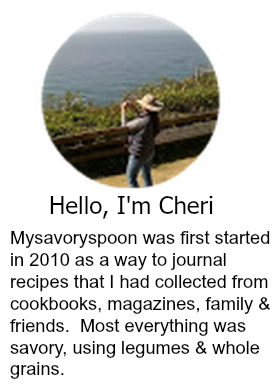 I have to give this lovely dish a try Cheri - it sounds wonderful. I love cauliflower and get stuck in a rut with steaming it all the time. I love it in everything! Glad you are feeling better. I caught the crud from one of my grandchildren - just starting to feel better now. Thank goodness it was after Christmas :) Happy New Year to you! Glad you are starting to feel better Tricia, yes it was certainly a tough one, I ate 5 crackers in 4 days and lost 1 pound, lol!!! Was just saying to Valentina how much Marc and I love cauliflower. I love that it’s paired here with quinoa, which makes it a full meal! I’ll definitely be trying to soon, Cheri! Thanks Grace, so am I! Sounds like a delicious and healthy combo! Hopefully you got the sick days out of the way for the year! Great casserole and I’m happy to hear you are on the mend after your illness. Thanks for sharing your Great recipe and experience with us love the your recipe and the way of cooking style. I will try my best to make it delicious and tasty.